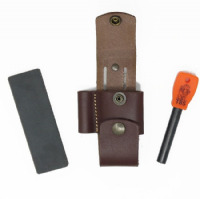 This quality leather belt pouch allows you to combine a firesteel and a DC4 or CC4 sharpening stone in one package to give you an easy carry option for two highly useful pieces of kit. This attachment was originally designed for use on our own TBS Range of sheaths but we specifically requested that it have it's own additional belt loop so that it could be used as a stand alone product. 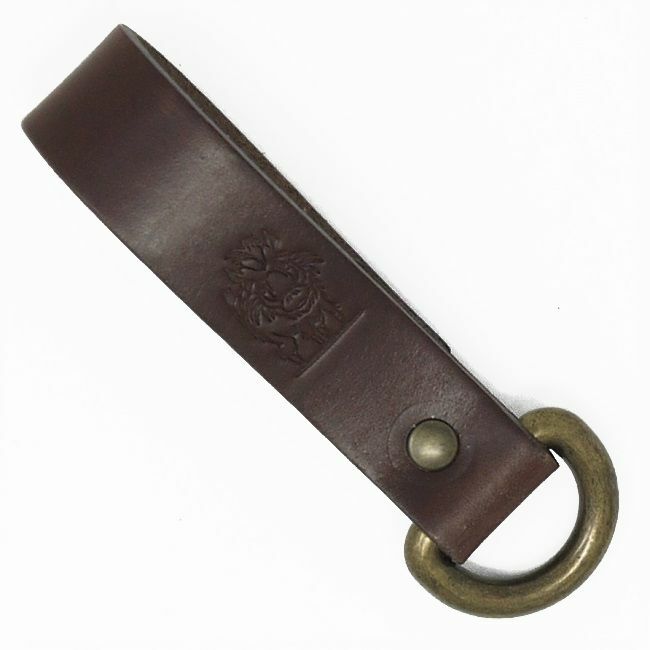 It is available in Brown (see relevant listing) and is available with or without the additional products. 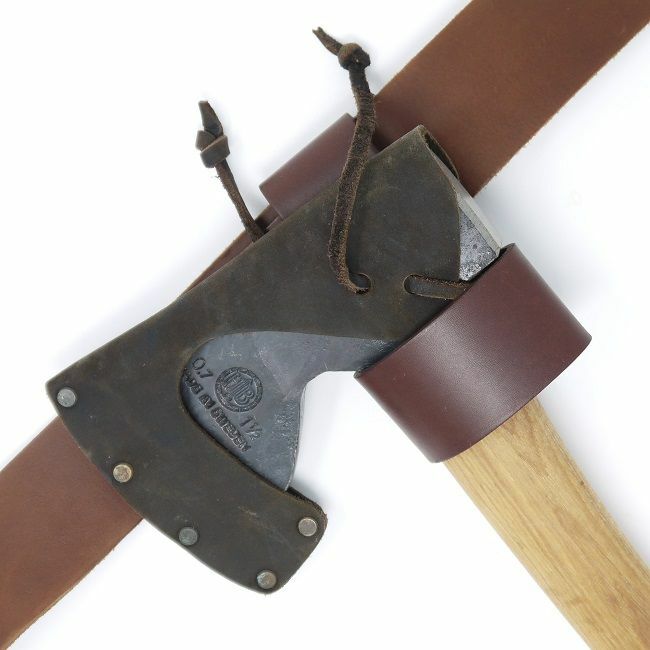 All of our range of knife or leather products are manufactured from high quality European materials by a top, well known, European manufacturer in small batches; they are NOT churned out in their thousands in a factory in the Far East. This allows us to have ultimate control over quality and materials and we are extremely happy with the results.